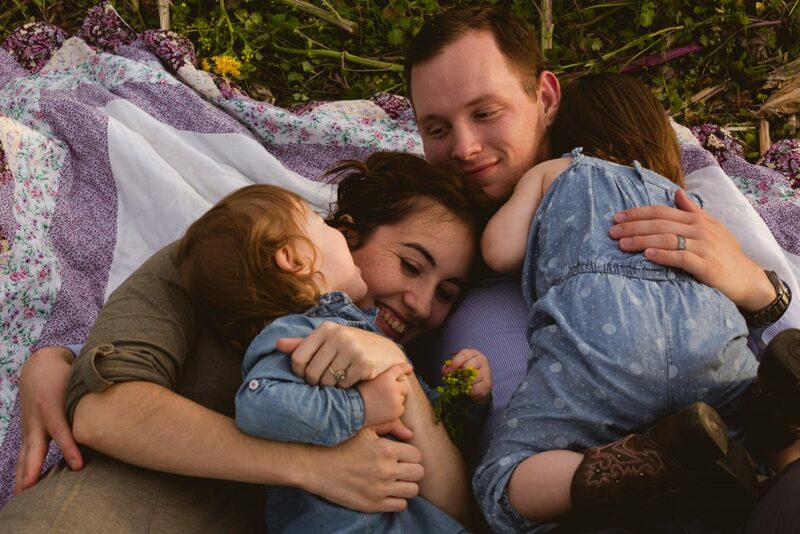 Spring Family Photo Session: 3 likes, 2 things I wish I would've done. 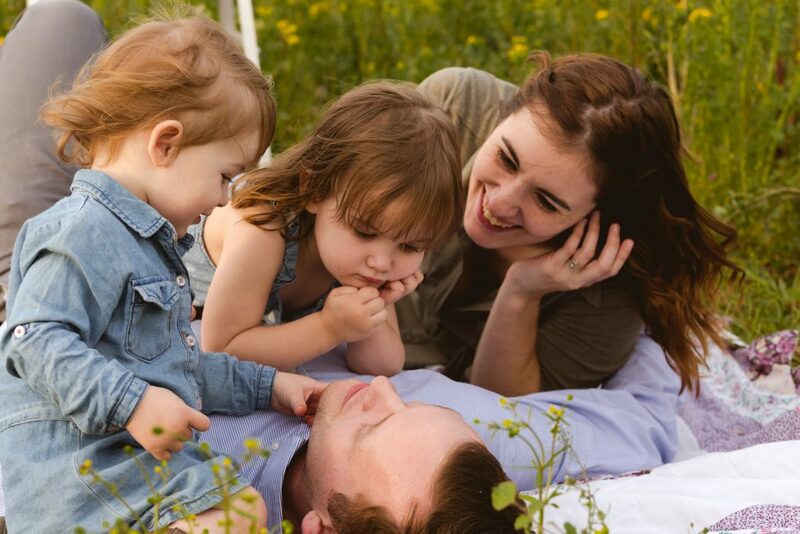 Three things I love from Robert and Shelby’s family photo session on the outskirts of St Louis. Evening hours! 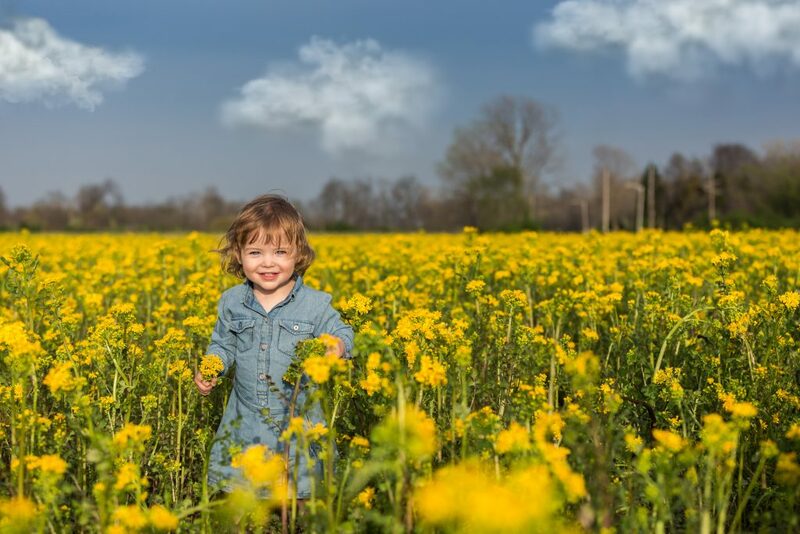 With the time change, warmer weather, and family schedule, this was my first evening family photo session of the season. Most of my recent work has either been indoors or morning sessions. 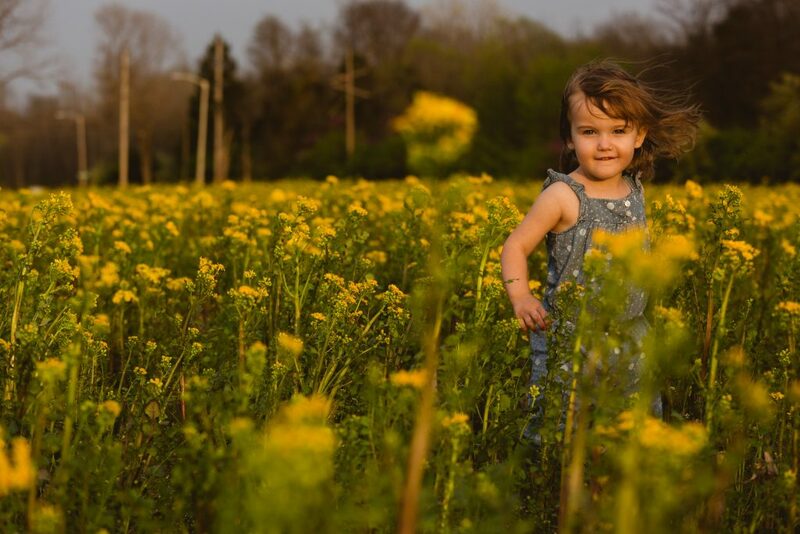 Greeting the golden sun, capturing the breeze ruffling their hair, and frolicking in the free space made this session fun and low stress. Winning over A&L. At first these girls wanted nothing to do with me or the camera. (Mom is a wonderful photographer herself so they are over cameras!) You can see the first couple of images of A and how she’s clearly stating her position on the matter. Then, when you scroll down, look at her expressions and feelings at the end. Major win! Plus, mom reported the girls sang my name on the way home. My heart melted a little. Family interaction. In most of these images not everyone is looking at the camera. In some of them, the girls are laughing or mom and dad are laughing. Their smiles aren’t perfect, their hands are not perfectly placed, but they’re real. Their real family was captured, at least for the moment, and that, my friends, is what it’s about. Start 15 minutes later. First evening family photo session of the season and two really littles, I should have waited 15 minutes to start and then ended 15 minutes later. Lesson learned. Moved the family further into the field. Here’s a screenshot of the field. Isn’t it lovely? It is a bit hard to walk in, especially for Miss L, so I didn’t ask mom and dad to walk way into the field. I wish I had. Images of the scene, with the family tucked into the corner, can be so beautiful. Next time! Interested in seeing more? Look here. Want to capture your own family memories? Contact me. These are adorable! I love that they capture well their current season in life. Beautiful! Love the quilt and the flowers and the family! Great photos!! I love this! 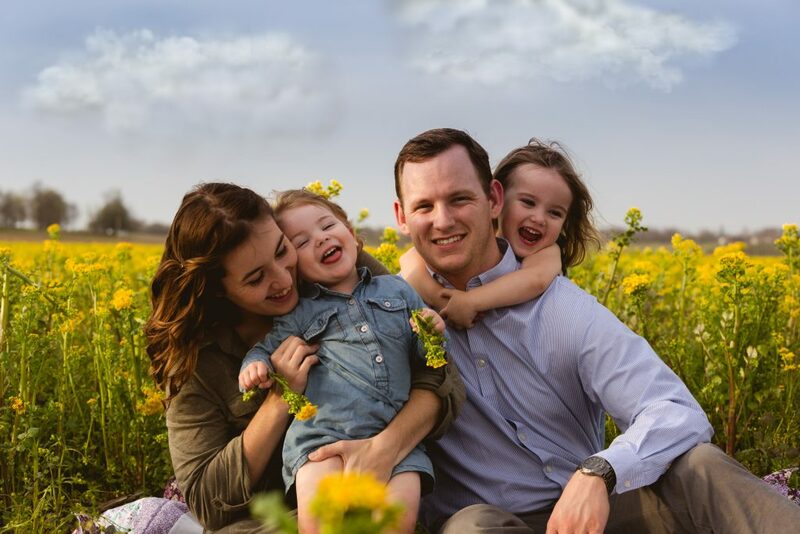 Adorable family and that flower field is insanely beautiful!! What an adorable family! Also that yellow field is amazing! Keep up the great work!!! Thanks Marissa! 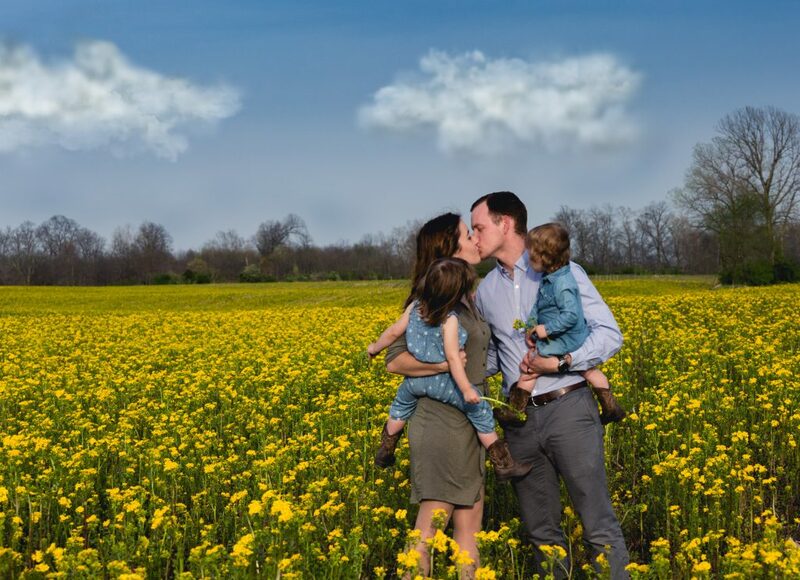 It was a pretty field and made all the more beautiful with this family’s love.